Exploit the full potential of your theme. 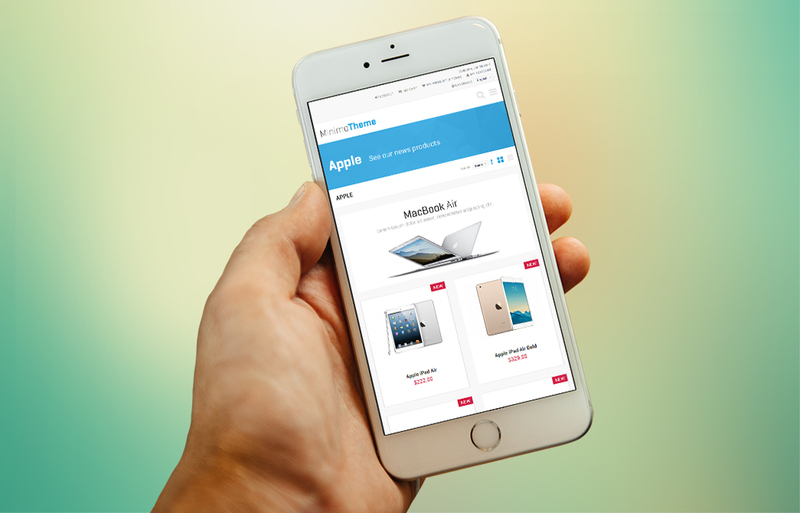 Order yearly access to our multi-level tech support and premium offers. Do you need assistance? Unlock your access to our multi-level tech support to experience the highest level of customer service and reveal our premium offers. 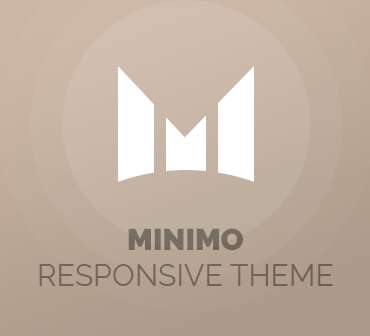 Minimo - Theme For Magento is a responsive skin designed under the guidance of such determinants as minimalism, austerity of form and transparency. 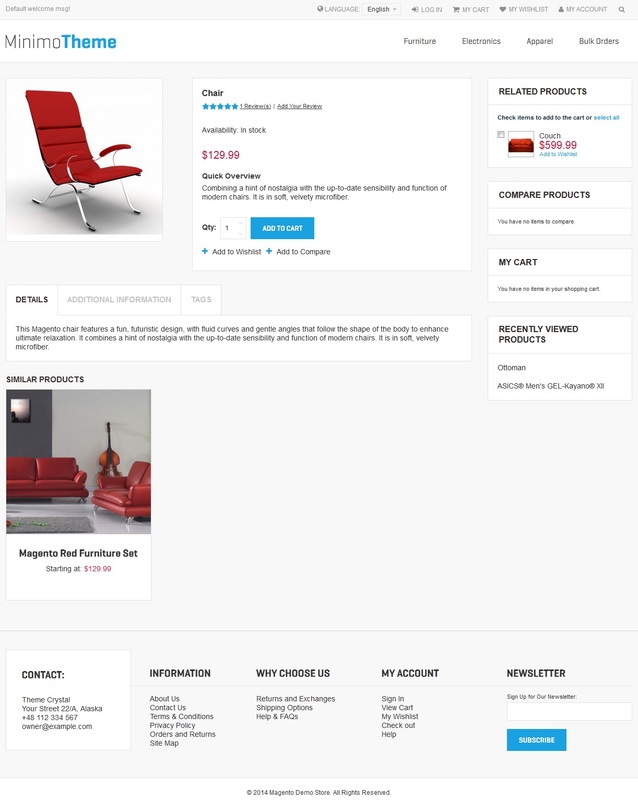 Esthetic arrangement along with balanced color palette will deliver a harmonious feeling of space to your eCommerce platform. 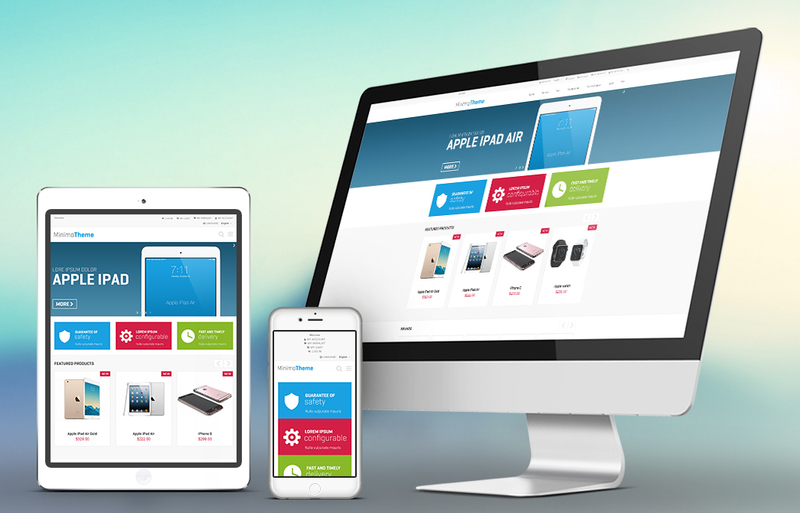 Captivate your customers with pleasant simplicity and a pure appearance of your online store! 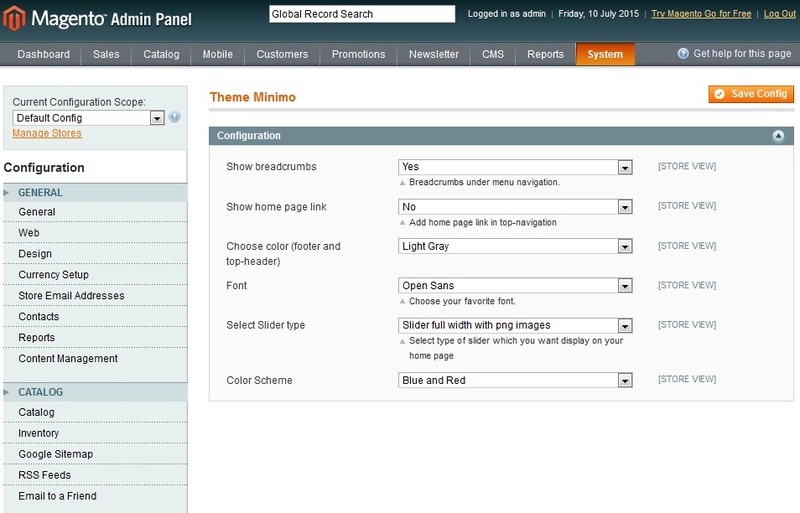 Download our Minimo - Theme For Magento without any costs, upload the files on your server and enjoy the results! No Installation Required - Upload, Activate And Use! Manage Zendesk tickets in your Magento, create Zendesk accounts, take bulk actions on tickets and users plus let your customers handle tickets without leaving your website. 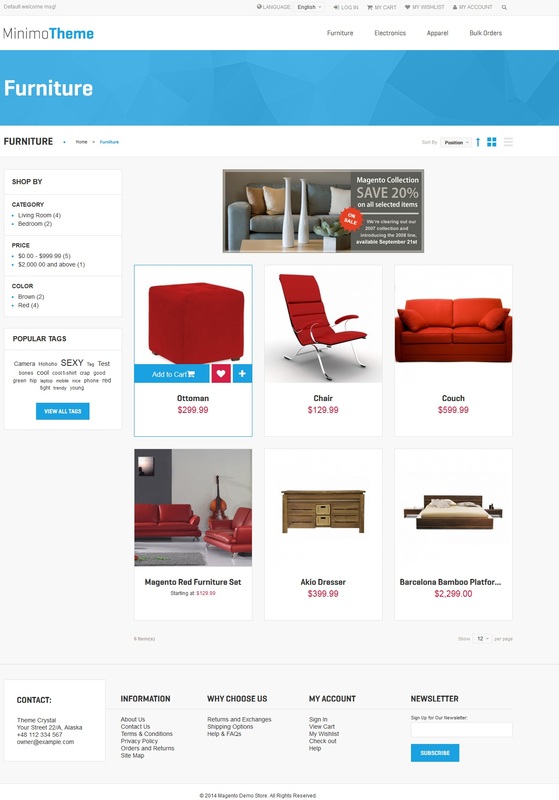 View own extensions and themes, look over other helpful products, monitor the extent to which your Magento is customized and keep track of all releases and special offers. Introduce GPN DATA payment gateway into your Magento to benefit from 3D Secure support, utilize two authorization methods, handle recurring billing, refunds and more. 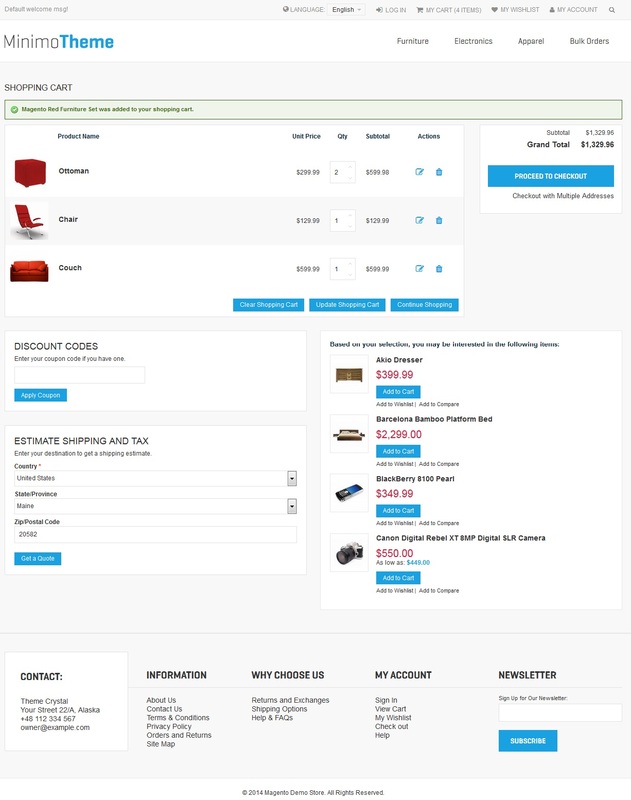 Make your everyday work with Magento a delightful experience owing to a simple yet elegant theme for your admin panel.